The closest thing Christmas gets to a giant shiny ball in Times Square is an Advent Calendar, so if you’re going to rock Christmas’ version of a crystal encrusted sphere dropping from the sky, heralding the dawn of a new day, you best do it in style. 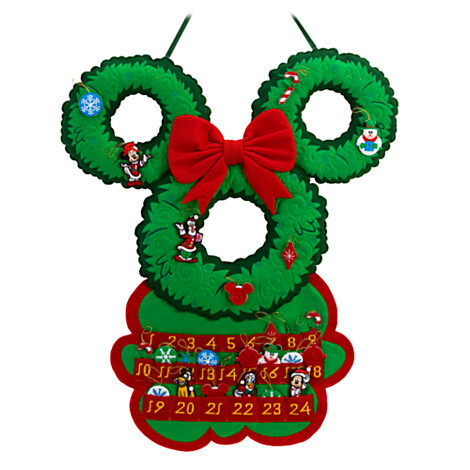 This Mickey Mouse Advent Calendar revs up the countdown frenzy in a BIG way. First of all: it’s huge! Second of all: it’s Mickey! Third of all: it has tiny adorable Disney Velcro guys that you can pull off and stick in the wee pockets below! Plus, score 25% off when you enter code DISNEYPAL at checkout! Got the fever for some Christmas Goodies? We’re stocking up on everything fun and gifty over on the Disney Gift Guide page, so stop on by and have a look around!